On our last day of 2012, we wanted to try Animated Cupcakes on Kam's recommendation (thanks, Kam!) We arrived before Animated Cupcakes opened, but it was inside a cafe, Genki Living. 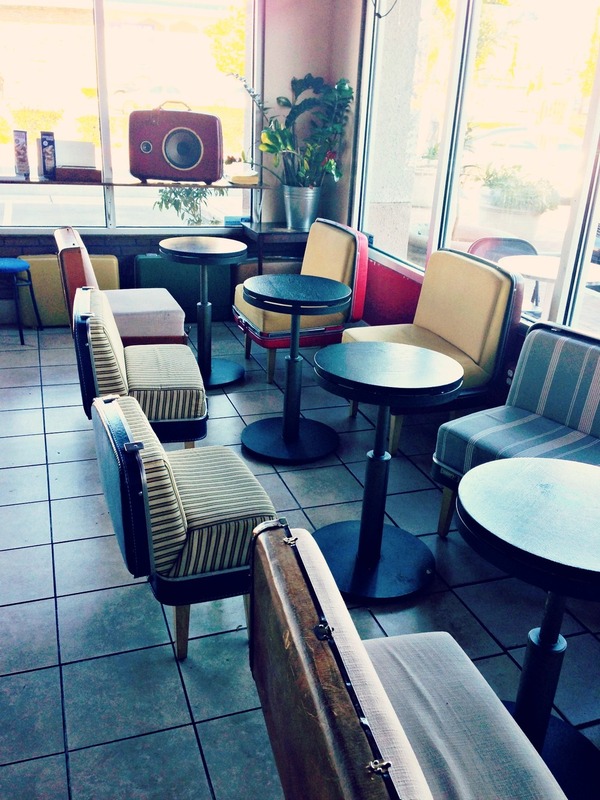 We were already in love with the place as soon as we walked in, there were cool vintage suitcases turned seats! We grabbed lunch while we were waiting for our New Years Eve cupcakes, and the food was as delicious as the decor was charming. Taiyaki. 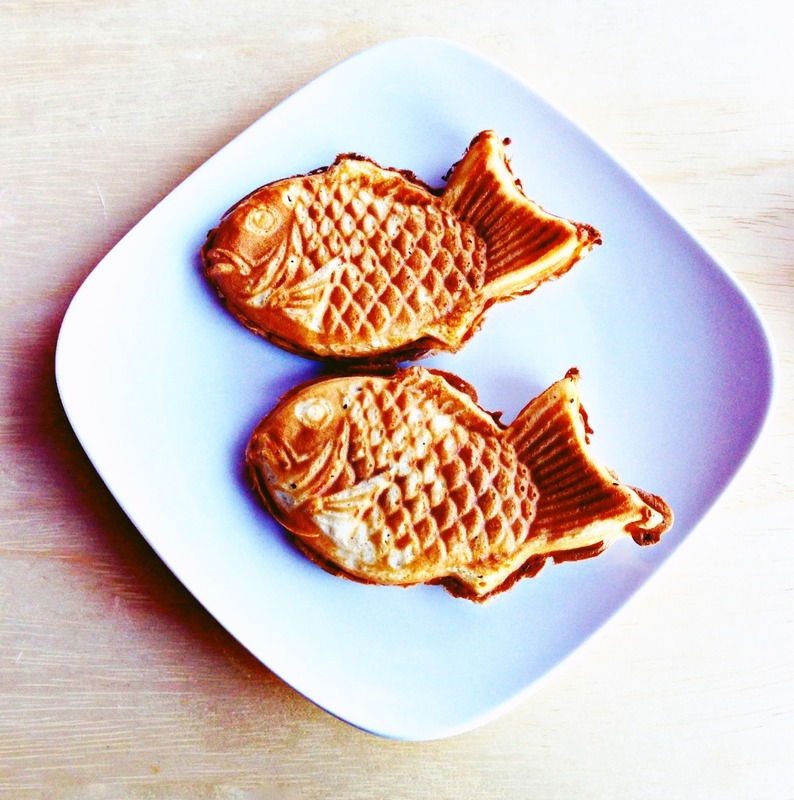 A Japanese waffle shaped like a fish. This one is stuffed with Nutella! How were the actual cupcakes? Well, one of them had a hidden Oreo inside it. You can't get better surprise than that for cupcakes. The red velvet was soft and the frosting was rich, but a lot lighter than Sprinkle's famous red velvet. If you're in the area and don't want to make the drive to Sprinkles, Animated Cupcakes is a great alternative.